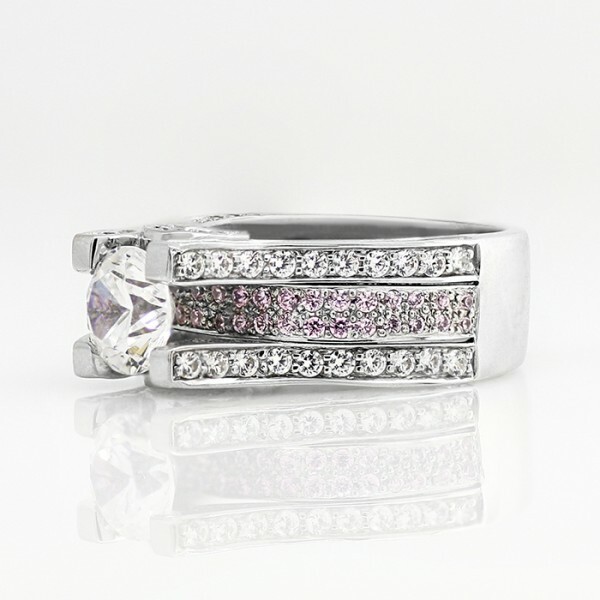 Kismet with 1.49 carat Round Brilliant Center and Rose Accents - 14k White Gold - Ring Size 6.5 was added to your cart. 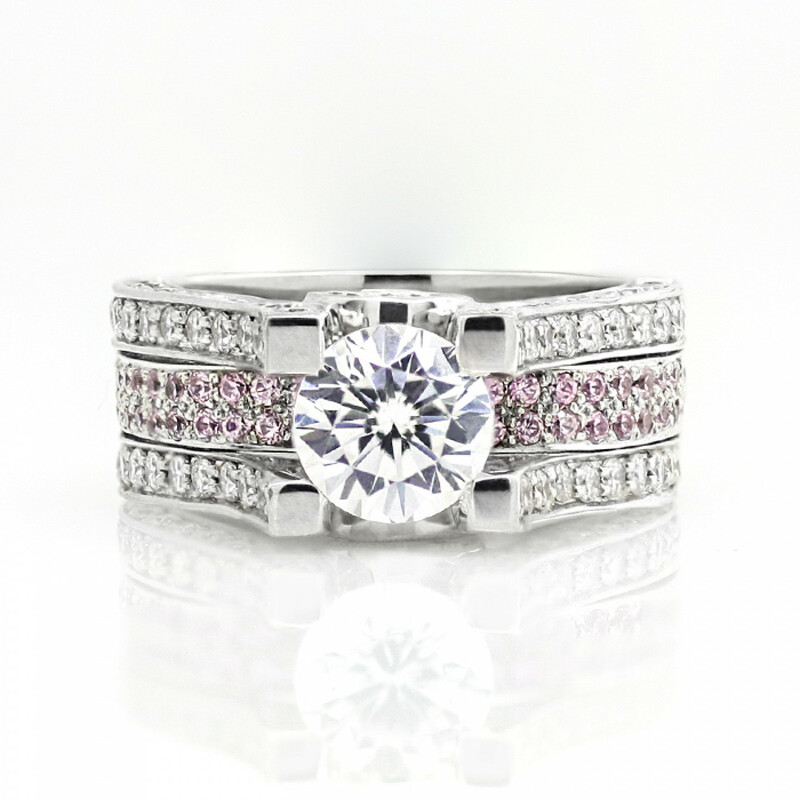 Capture the beauty and boldness of the daring "Kismet" ring, but with the smooth, uncomplicated grace of an unadorned band. The outer edges of this contemporary bridge band design sweep upward into four square prongs to grasp the 2.04 carat Round Brilliant cut Contemporary Nexus Diamond floating at the center.